I don't know if it's the fact that I've been watching too much America's Next Top Model or just the realization that maybe eating 6 mini muffins in a day isn't the best thing, but I'm starting to feel unhealthy in my habits. 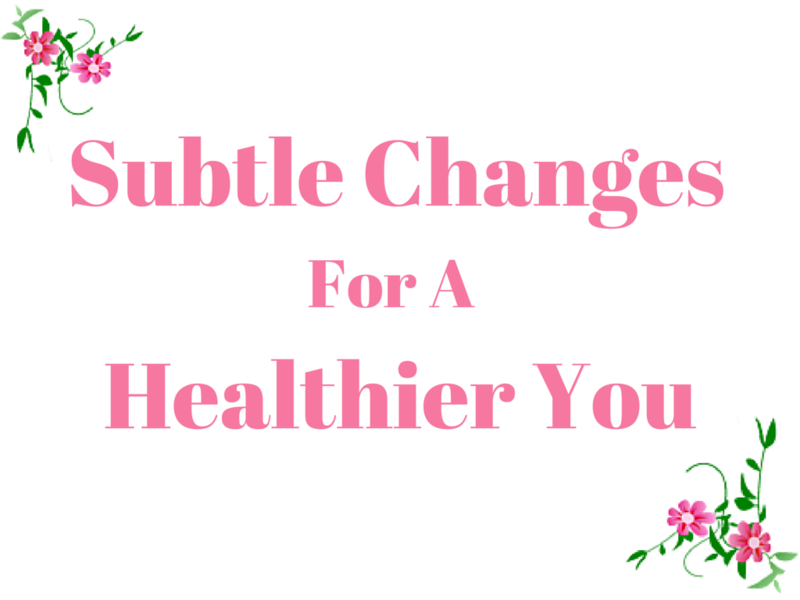 One of my resolutions for this year was to be healthier, or at least make some changes to get that way, and I feel like I might have lost track of that. Creating a healthy lifestyle isn't something that happens all at once, but it is something that you have to work on. The most important change for me personally is to drink more water. It's recommended to drink eight 8 ounce glasses a day, and I'm going to attempt that. Sorry Diet Coke, I'm going to have to give you up for a while. Another thing that I want to get into the habit of is exercising regularly. I definitely count my walking to and from class, but really I shouldn't. I need to take actual time out of my day and do some physical activity. Whether this means walking a couple of blocks, going to my school's gym (intimidating beyond belief), or just doing some squats in my room, I need to get moving. And no matter how much I love carbs, that can't be all I eat. Yes I'm in college and rice and pasta are the easiest things to make, but should that be all I'm eating? No of course not. Putting in the effort to buy fruits and vegetables and leave all the junk at the store is all I need to do to fix this. I'm an adult, and I need to start making the decisions that are right for my health. Now this whole health kick doesn't have to mean that I give up everything that I love, but to take it in moderation. Go with your cravings, but don't over indulge on them. If you really want that chocolate chip cookie, eat it, but don't eat three. You're out at dinner with friends and want to splurge, get a soda! Don't make yourself upset by not enjoying the things that you love, but don't make them the essential parts of your diet. I would love to hear your tips on living a healthy lifestyle! I completely agree with you on the moderation part! I'm on the chubbier side and numerous people in my life tell me to only eat fruit and drink water so I lose weight but that's not going to happen + it's not totally healthy! So glad to see someone thinking the way I do and good luck with your goals! I completely agree with the giving up of diet coke, it makes a huge difference. Everything in moderation is pretty much my motto. Giving up diet coke is a great idea. My husband drinks the stuff all the time and I keep trying to suggest he cut back a bit. Water, coffee, and tea is definitely the healthier route. I like the baby steps approach to health. It makes things seem not as daunting and you can easily incorporate the steps into you lifestyle. Every year in my resolutions there is the phrase: Eat healthy and go to the gym... Every year the same results.. I forgot to follow this phrase! But this year I want to believe that I'll keep my promise. I'm a huge fan of the sweets so instead of them I try to eat more dark chocolate and I think that it works on me! It's a great idea to give up the diet coke! Good luck with your goals!